”But I have promises to keep. And miles to go before I sleep”This has been the inspiration for me all through my association with GDC. Exploring new horizons and reaching the zenith is my dream for GDC. I look forward to a future where GDC Srinagar is not one of the best but “The Best”. 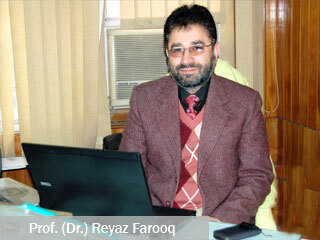 The Co-operation and help rendered by the faculty and administrative staff has been commendable. I am highly appreciative of the endeavors of the staff/students.